Aluminium is renowned for being an excellent conductor of heat, which is vital for ensuring that your conservatory or living room achieves the desired temperature quickly. Coupled with built-in sensors, the Vantage radiator automatically detects when a window or door has been left open, resulting in an automatic response that shuts down the heating, helping you to reduce your household energy consumption and dramatically reduce your heating costs considerably. The superior Italian design provides interchangeable electronics without the need for any tools and offers ease of access thanks to controls mounted on the top, which makes them easily accessible. All of our Vantage radiators, heating elements, fluid core and the radiator body are covered by a 10-year warranty for full peace of mind. The Vantage radiators are all fully compliant with Lot 20 – EU legislation (2018) which has stripped the electric heating industry of inefficient technologies to help reduce the consumption of energy on an international scale and encourage the UK to reduce their overall carbon footprint by meeting targets. What does this mean for you as a consumer? It means that we at Electric Heating Expert will personally ensure that our range of radiators includes information as outlined in Lot 20 for space heaters or portable heaters. Moreover, reduced consumption will automatically see a dramatic decline in your heating bills. The silent operation of the Vantage radiator means you can doze off in your armchair on a Sunday afternoon in front of the TV without being disturbed by noisy conventional heaters. 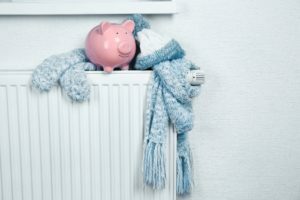 This is particularly great when you may wish to have your electric radiator on for longer periods, such as in the winter months when temperatures may plummet significantly. 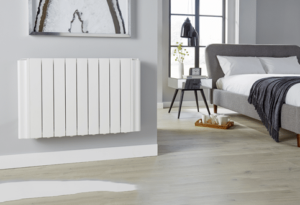 If you are currently searching for the best electric radiator on the market, then Electric Heating Expert can offer you a product that will meet your specific requirements, feature a 10-year warranty as standard, comply with EU legislation, reduce your heating bills and keep you toasty warm should you need it. We understand you may still be unsure about what range to go with, or perhaps you still feel uneasy about investing in an electric heater if you have previously had gas central heating. We are happy to answer any questions or queries that you may have surrounding electric radiators, our range and the installation process. Alternatively, our previous post on Electric vs. Gas radiators may answer many of the questions that you have on potentially transferring across from one heating method to another. As a general rule, you can never have “too much” wattage as the Vantage range have proportional thermostats ensuring that your radiator only generates the required power to heat your room, meaning it’s safer for you to opt for a larger radiator if in doubt. Here are some additional reasons as to why you should purchase from us at Electric Heating Expert. Fixtures, fittings and a guide are provided to enable you to install the radiator quickly by yourself. Different heights are available which make them perfect for smaller confined spaces such as conservatories. Free, friendly and impartial advice available either online or over the telephone on 01252 560770. Let's get straight to the point: With no boiler, pipework, flue, or gas connection, a home survey is never necessary for an electric heating system. If you do allow a representative to visit, be sure to ask for a price list first, or risk a shocking quote. 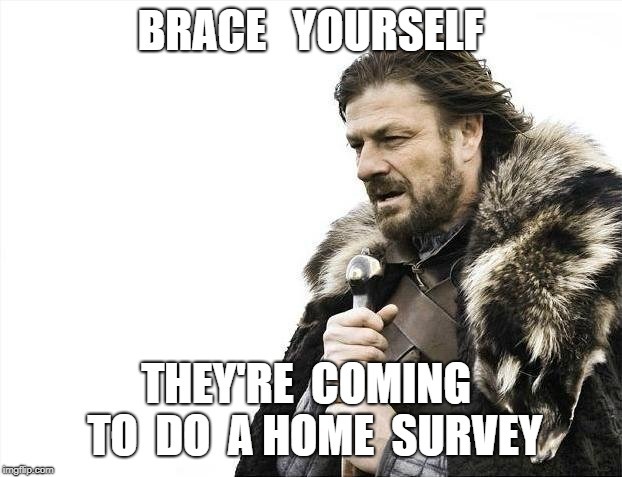 Some electric heating suppliers insist on a home survey. They don’t advertise their prices, and won’t even let you see a price list. In not disclosing any pricing, they can visit your home, and see how much you may be able to pay. Unfortunately this practice is now common in some electric heating companies that sell German-built electric radiators. It’s something that we will never do. What is creatively termed as a “home survey” or “engineer’s visit” usually serves only as a sales tool. The person who visits you will be better equipped with direct selling techniques, than heating expertise. Their primary concern will be to achieve the highest possible price. Prices generally range from £800 to £2,500 per radiator. If you would like a great value and high-quality electric heating system – without any pressurizing salesmen, all that you need is a tape measure. Simply let us know your room sizes – either by clicking on “Get a quote” and entering your details, or by giving us a call. If you prefer, you can also order online. Any thermostatically-controlled radiator with more wattage than is required, will simply draw less power. One that is too small may struggle to raise the room temperature, however we specify from our range of sizes with a margin to ensure that this never happens. We want to help you choose the best system for your requirements, offer you advice on the best energy tariffs, and give you our very best price – first time. What’s more, we guarantee that the electric radiators that we specify will be suitable for your rooms. Some suppliers advise that the lead-time for delivery is long and it is claimed that the radiators are built to order. This can then necessitate a contract of sale which once signed, can be hard to cancel - especially if the manufacture of those "built-to-order" radiators has already started. Our radiators are all held in stock at our warehouse. Usually we can deliver to your door within 24 hours. The beauty of electric heating in general, is the ease of installation. As there's no plumbing involved, you can install wherever there's a plug socket. If there isn't one nearby, an electrician can help. Mounting an electric radiator to the wall is quick and simple. Though some German electric heating suppliers insist on installing their products, it is not a job that requires any specialist tools or knowledge. We can recommend an approved installer in your area of you require one, though you are also welcome to choose your own, or do it yourself. Usually a local handyman or electrician will offer the most cost-effective service, should you need it. April 1st 2019 is just around the corner meaning that for most of us, inflation and energy bills will continue to rise. This year has already seen some of the top six energy suppliers, such as EDF Energy, increase their energy tariffs despite the cap imposed by regulators. Whilst the norm used to be simply switching suppliers or looking for a cheaper quote online, unfortunately, with the threat of a no deal Brexit on the horizon, daily expenses such as our food shopping and medication could increase considerably and choices could be dramatically reduced. Our energy bills will become even more of a pressing issue for us! What affects the cost of my energy bills? Normally, energy suppliers will compete against each other, helping to drive down the costs of our energy bills but with wholesale prices increasing and global demand at an all-time high, energy providers now have to pass the costs onto the consumer to help reduce the impact it has on their businesses. Energy sources such as gas are imported meaning that suppliers have to compete on a global scale and with high-demand and a low supply of gas, wholesalers have the upper hand when it comes to imposing costs on the suppliers. Fortunately, industry experts have introduced a cap on energy providers that help to reduce the costs, which are ultimately passed onto us but the top 6 are only just shy of this cap. Laws imposed by the UK government mean that suppliers have to reduce emissions and implement renewable energy options. Maintenance costs – this relates to the energy network and any pipes that may require repairs or replacements. Naturally, an increase in demand will place more pressure on the energy supplier’s resources. Energy caps placed on suppliers by Ofgem. VAT – Value Added Tax is added on to energy bills. How can I reduce my energy bills? A well-insulated home will help to minimise the amount of heating that is required for your household. If you are on limited income, it may be worth checking out grants and schemes that may be available to you to help improve your insulation or simply provide you with special payment plans. More information can be obtained from the Energy Advice Service on 0300 123 1234 (England and Wales). Check out our post on heating hacks for 2019 which contains tips on how to reduce your energy consumption. Compare energy tariffs, prices and quotes on a comparison website such as moneysupermarket.com. Contact your supplier or check their website to see if they can beat an existing quote. Check if you are entitled to a rebate or discount under the Warm Home Discount scheme, which provides financial assistance to those who are of pensionable age, have severe health issues, are on a low income or are disabled. If you receive a state pension then check if you are entitled to a winter fuel payment ranging from £100 to £300. Consider switching up your payment method as some suppliers offer a discount if you pay by Direct Debit. More information can be found on the Ofgem website. How can Electric Heating Expert help me? Our Economiser radiator range automatically shuts down if it senses a window or door is open. The Economiser provides full flexibility, a wide choice of sizes and is more economical for smaller spaces such as conservatories. We share monthly tips to help you reduce your energy consumption, keep you informed and offer advice over on our blog. Our experts provide a personalised service with no obligation to buy. Start saving today with Electric Heating Experts. Give us a call on 01252 560770 or drop us an email at enquiries@electricheatingexpert.co.uk.